As the Employees’ Provident Fund (EPF) prepares for its re-entry into the country’s stock market, they would most likely to be “conservative” in their investment approach and invest only in shares of a list that is currently being prepared. 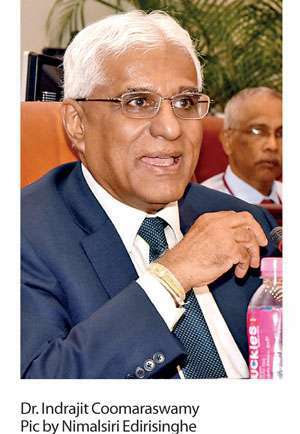 Central Bank Governor Dr. Indrajit Coomaraswamy this week said the Investment Committee of the EPF is trying to come up with the “list of shares by looking at the market” to invest and they expect to seek the Monetary Board approval for that. “The EPF will be investing only on those shares and the CSE and SEC will help us in preparing the list,” Governor Coomaraswamy said. The EPF withdrew from stock investments and trading in the aftermath of controversial secondary bond market trades by a small group of rogue EPF fund managers in 2015 that sparked public outcry. Governor Coomaraswamy said since then a lot of safeguards and check and balances have been introduced to the EPF’s investment process. He also said the EPF investment committee headed by a Deputy Governor is meeting every day and investment decisions are made collectively. He further said the Central Bank would meet with the trade unions in a few weeks to apprise them of the safeguards and checks and balances that are now in place to obtain their support for the EPF’s return to the Colombo bourse. The management of the EPF is one of the agency functions entrusted with the Central Bank apart from the core function of maintaining price stability. The Central Bank is vested with the function of maximizing returns to the members of the EPF while raising funds for the government at the least cost— two conflicting agency functions— which have long been at debate are to be placed with another independent authority. However, these debates reach nowhere when it comes to the safety of the fund as there is no better custodian of the fund than the Central Bank. The EPF is the largest annuity fund in Sri Lanka with assets exceeding Rs.2.0 trillion by end-2017, contributed by 2.6 million active accounts.